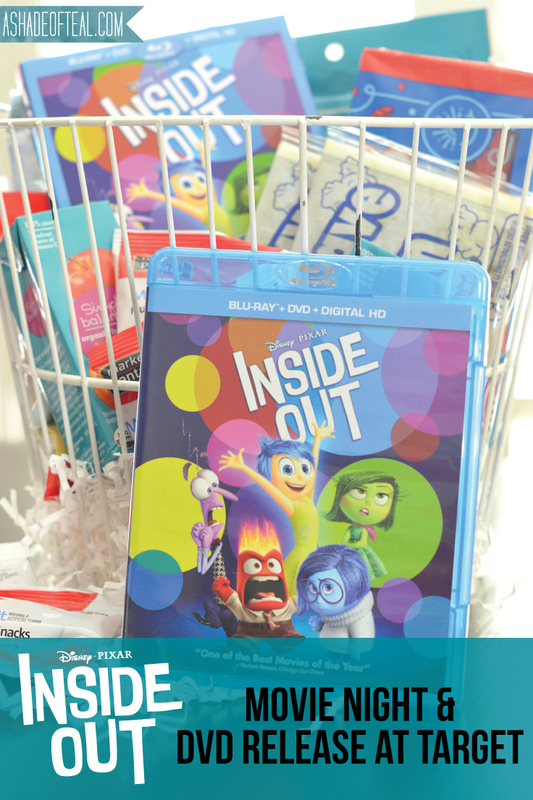 Inside Out is finally available on DVD & Blu-Ray! My daughter has been so excited to see this movie and since she’s a little too young to sit and enjoy it in the movie theater, we’ve been anxiously awaiting the DVD release. Well the day it came out we went to Target to purchase it. You’ll also need a movie! To make the perfect movie night gift basket you’ll need to start out with some sort of basket or bag. I also added some white paper filler. Then, start adding the items. I added the Trail mix & dried fruit first. Next, I added licorice, gummy worms, and popcorn. Finally, I added juice boxes, fruit snacks, and of course the DVD/Blu-Ray for Inside Out. Make sure to purchase Inside Out from Target so you can get the extra 20 minutes of exclusive bonus content and deleted scenes. Have you seen Inside Out yet? If not pick up your copy today at Target. I can’t wait to watch it tonight with the little one! « eBay Guide: 10 Ways to update a Space with Color!